I do not trophy hunt. There, I came out of the closet and admitted it. But that is pretty much the only way in which not being a trophy hunter in Texas is analogous to being gay, cause being gay IS actually allowed. Heck there’s a Texas Gay Rodeo Association where one can proudly win buckles and other manly prizes while being gay in Texas. Meanwhile, non-sport-hunters in Texas are forced to not hunt in shadowy alleys and unsavory parts of town populated by meth addicts, child molesters and Democratic ex-congressmen. 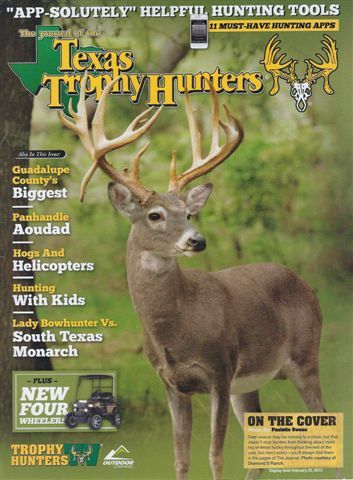 There is no Texas Non-Trophy-Hunter Association that awards us prizes for being really good at not trophy hunting. We are by binding state law reduced to the status of social pariahs. At the weekly men’s meetings, we are only served at the children’s table and not allowed to talk. * Possible exception, copperheads. Don’t worry, I’m pretty sure they’ll never be extinct. That said, trophy hunting IS a legal activity. I don’t get pissy about others doing it, it just isn’t my idea of a great time for the aforementioned reasons. I’m not going to go throw paint on hunters in the name of animal rights, because of several reasons… up to and including the fact they pretty much all have guns and I’d prefer a natural death at an old age without ever having been strapped across the hood of an F-250 and driven to a processor where I become sausage. But even if I was assured they wouldn’t shoot me, I’m not throwing any stones at the guys. I am happy to consume what they bring back, and am aware that as a group they probably contribute more to the conservation of our wildlife and environment than all the Birkenstock wearing PETA protesters combined. What I cannot for the life of me understand is guys that are so pissed that a lion named Cecil was killed, skinned and his head removed… when the same people defend Planned Parenthood calmly discussing similar procedures over lunch and joking about it. I’m not even getting into the abortion discussion, I’m talking about the ghoulish behavior of turning human body parts into a product. If Joseph Mengele was a noted Democrat I guess you’d defend his work too? Pick a side, people. That’s just weird. 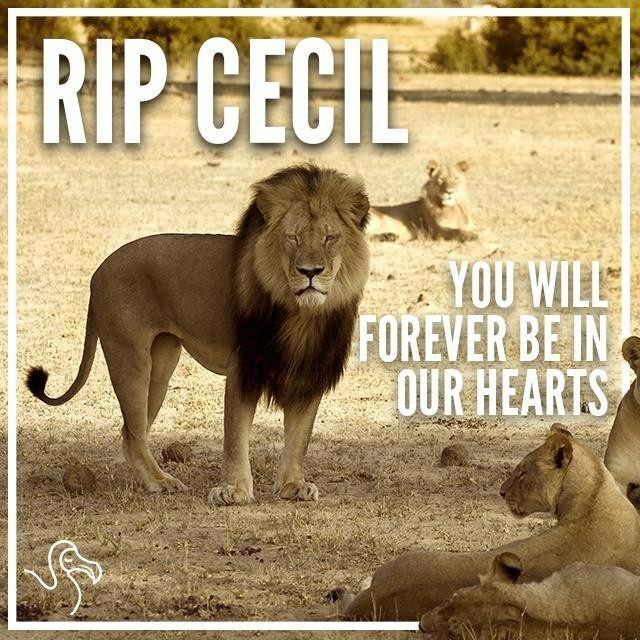 Last week nobody posting misty-eyed farewells to Cecil the Lion had heard of “Cecil the Lion”. Now they want to murder a dentist they’d never heard of in defense of a cat they’d never heard of. Just freakin insane. For heaven’s sake, people, lay off the dentist. Don’t fall for every shiny thing the media puts in your path. There are just a helluvalot bigger problems in the world than a dead cat.